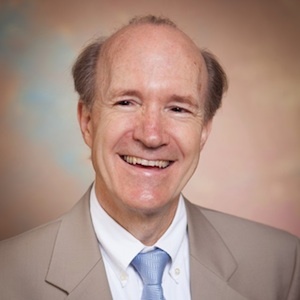 Dr. Travis is Professor of Maharishi Vedic Science, Chair of the Department of Maharishi Vedic Science, Dean of the Graduate School, and Director of the Center for Brain, Consciousness, and Cognition. He earned an MS and PhD in Psychology from Maharishi University of Management, and a BS in Design and Environmental Analysis from Cornell University. Travis, F. (in press). Core and Matrix Thalamic Nuclei: Parallel Circuits Involved in Content of Experience and General Wakefulness. NeuroQuantology. Harung HS, Travis F.(in press). Higher mind-brain development in successful leaders: testing a unified theory of performance. Cognitive Processing. Heaton, D. P., Travis, F. & Subramaniam, R. (in press). 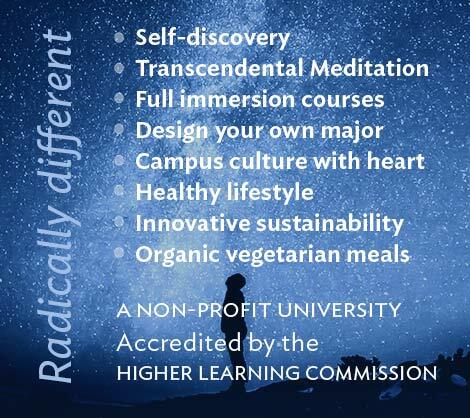 A Consciousness-Based approach to management education for integrity. In C. Wankel and A. Stachowicz-Stanusch (Eds. ), Handbook of Research on Teaching Ethics in Business and Management Education, Hershey PA, IGI Global. Travis F, Grosswald S and Stixrud W. July (2011) ADHD, Brain Functioning, and Transcendental Meditation Practice. Mind & Brain, The Journal of Psychiatry., 2(1). 73-81. Travis, F, Harung, H and Lagrosen, Y (2011). Moral Development, Peak Experiences and Brain Patterns in Professional and Amateur Classical Musicians: Support for a Unified Theory of Performance, Consciousness and Cognition, 20, 1256–1264. Harung H.S., Travis F., Pensgaard A.M., Boes R, Cook-Greuter S, Daley K, (2011). High Levels of Brain Integration in World-class Norwegian Athletes: Towards a Brain Measure of Performance Capacity in Sports. Scandinavian Journal of Exercise and Sport, 1, 32-41. Travis, F. and S. Brown, (2011). My Brain Made Me Do It: Brain Maturation and Levels of Self-Development, in The Postconventional Personality: Perspectives on Higher Development, A.H. Pfaffenberger, P.W. Marko, and T. Greening, Editors, SUNY Press: New York, pg. 23-38. Travis, F and Shear, J (2010). Reply to Josipovic: Duality and non-duality in meditation research, Consciousness and Cognition, 19: 1120-1121. Travis, F and Shear, J (2010) Focused Attention, Open Monitoring and Automatic Self-Transcending: Categories to Organize Meditations from Vedic, Buddhist and Chinese Traditions, Consciousness and Cognition. 19:1110-1119. Nidich SI, Rainforth MV, Haaga DA, Travis, F. et al, (2009). A randomized controlled trial on effects of the Transcendental Meditation program on blood pressure, psychological distress, and coping in young adults. Am J Hypertens 22,1326-31. Harung, H.F., Travis, F., Blank, W., Heaton, D. (2009) Higher development, brain integration, and excellence in leadership, Management Decision, 47(6), 872 – 894. Travis, F.T. (2005) The Significance of Transcendental Consciousness for Addressing the “Hard” Problem of Consciousness, Journal of Social Behavior and Personality, 16, 123-135. Alexander, CN, Kurth, K., Travis, F, Alexander, V.K. (2005) Effect of Practice of The Children’s Transcendental Meditation Technique on Cognitive Stage Development: Acquisition And Consolidation of Conservation, Journal of Social Behavior and Personality, 16, 21-46. Dixon, C., Dillbeck, M.C., Travis, F., Msemaje, H., Clayborne, B.M., Dillbeck, S.L., and Alexander, C.H. (2005). Accelerating Cognitive and Self Development: Longitudinal Studies with Preschool and Elementary School Children. Journal of Social Behavior and Personality, 16, 65-91. Travis, F.T., Bonshek, A., Butler, V., Rainforth, M., Alexander, C.N., Khare, R., Lipman, J., (2005) Can a Building’s Orientation Affect the Quality of Life of the People Within? Testing Principles of Maharishi Sthapatya Veda, Journal of Social Behavior and Personality. Travis, F.T., Arenander, A. (2004) Psychological and physiological characteristics of a proposed object-referral/self-referral continuum of self-awareness. Consciousness and Cognition, 13/2, 401-420. Arenander, A, Travis, F.T. (2004). Brain patterns of Self-awareness. In B. Beitman and J. Nair, Eds. Self-Awareness Deficits. New York: W.W.Norton. Travis, F.T., Tecce, J., Arenander, A., Wallace, R.K. (2002). Patterns of EEG Coherence, Power, and Contingent Negative Variation Characterize the Integration of Transcendental and Waking States Biological Psychology, 61, 293-319.
and Transcendent Experiences during Practice of the Transcendental Meditation Technique. Biological Psychology, 55, 41-55. Travis, F.T. (2001) Transcendental Meditation Technique, Encyclopedia of Psychology and Neuroscience. Travis, F.T. & Pearson, C. (2000). Distinct Phenomenological and Physiological Correlates of ‘Consciousness Itself.’ International Journal of Neuroscience, 100, 77-89. Travis, F.T. (in press). Autonomic and EEG Patterns Distinguish Transcending from other Experiences during Transcendental Meditation Practice. International Journal of Psychophysiology. Travis, F.T. , Olson, T., Egenes, T., Gupta, H.K. (in press) A Comparison of Physiological Patterns during Practice of the Transcendental Meditation Technique with Physiological Patterns during Reading the Bhagavad Gita in Sanskrit and in a Modern Language. International Journal of Neuroscience. Travis, F.T. , Munly, K., Olson, T., Sorflaten, J. (in press) The Significance of Transcendental Consciousness for Addressing the “Hard” Problem of Consciousness, Journal of Social Behavior and Personality. Travis, F.T. (in press) The Significance of Transcendental Consciousness for Addressing the “Hard” Problem of Consciousness, Journal of Social Behavior and Personality. Alexander, C.N., Kurth, K., Travis, F., Alexander, V.K. (in press). Effect of Practice of The Children’s Transcendental Meditation Technique on Cognitive Stage Development: Acquisition and Consolidation of Conservation, Journal of Social Behavior and Personality. Travis, F.T., Bonshek, A., Butler, V., Rainforth, M., Alexander, C.N., Khare, R., Lipman, J. (in press). Can a Building’s Orientation Affect the Quality of Life of the People Within? Testing Principles of Maharishi Sthapatya Veda, Journal of Social Behavior and Personality. Travis, F.T. , Tecce, J.J. & Guttman, J. (2000). Cortical Plasticity, Contingent Negative Variation, and Transcendent Experiences during Practice of the Transcendental Meditation Technique. Biological Psychology, 55,41-55. Travis, F.T. & Pearson, C. (2000). Pure Consciousness: Distinct Phenomenological and Physiological Correlates of “Consciousness Itself”. International Journal of Neuroscience, 100,77-88. Travis, F.T. & Wallace, R.K. (1999). EEG and Autonomic Patterns during Eyes-Closed Rest and Transcendental Meditation Practice: The Basis for a Neural Model of TM practice. Consciousness and Cognition, 8, 302-318. Travis, F.T., (1998). CNV rebound and distraction effects before and after a TM session. Psychophysiology, 34: S89. Mason, L, Alexander, C., Travis, F, Marsh, Orme-Johnson, D.W., Gackenback, J., Mason, D.C., Rainforth, M., & Walton, K.G. (1997). Electrophysiological correlates of higher states of consciousness during sleep in long-term practitioners of the Transcendental Meditation program. Sleep, 20: 102–110. Travis, F.T. & Wallace R.K. (1997) Autonomic Patterns during Respiratory Suspensions: Possible markers of Transcendental Consciousness. Psychophysiology, 34: 39–46. Travis, F.T., (1996). Comparison of CNV amplitude and P300 latency and amplitude in subjects practicing the Transcendental Meditation technique for less than 1 year or more than 8 years. Psychophysiology, 33: S83. Travis, F.T., (1996). Invincible Athletics program: Aerobic exercise and performance without strain. International Journal of Neuroscience, 85: 301–308. Travis, F.T. (1995). Within comparison of EEG and autonomic patterns during eyes-closed rest and transcendental meditation practice. Psychophysiology, 32: S77. Travis, F.T., (1994). The junction point model: A field model of waking, sleeping, and dreaming relating dream witnessing, the waking/sleeping transition, and Transcendental Meditation in terms of a common psychophysiologic state. Dreaming, 4(2): 91–104. Travis, F.T.& Miskov, S. (1994). P300 latency and amplitude after eyes-closed rest and after transcendental meditation practice. Psychophysiology, 31: S98. Travis, F.T. (1993). Respiratory, Autonomic, and EEG Correlates of transcendental consciousness experiences during Transcendental Meditation practice. Society for Neuroscience Abstracts, 18 (1), 574:15. Travis F.T., (1991). Eyes open and TM EEG patterns after one and after eight years of TM practice. Psychophysiology, 28(3a): S58. Travis F.T., Maloney T., Means M., March J.D., & Feinberg I. (1991). Acute Deprivation of the Terminal Four Hours of Sleep Does not Increase Delta (0–3Hz) Electroencephalograms: A replication. Sleep, 14(4): 320–324. Travis F.T. (1990). EEG patterns during TM practice and hypnagogic sleep. Society for Neuroscience Abstracts, 15(1): 244. Travis, F.T. (1990). Reference Aliasing: Effect of the `non-active’ reference. Psychophysiology, 27 (4a): S70. Travis F.T. (1990) An empirical test of Maharishi’s Junction point model of states of consciousness. Modern Science and Vedic Science, 4(1):42–55. Travis F.T., and Orme-Johnson D.W. (1990). EEG coherence and power during Yogic Flying. International Journal of Neuroscience, 54:1–12. Feinberg I, March J., Flach K., Maloney T., Chern W-J., Travis F.T. (1989). Late maturational decline in 0–3 Hz EEG amplitude during sleep: A reflection of synaptic elimination? Society for Neuroscience Abstracts, 15(1): 244. Gaylord C., Orme-Johnson D.W., and Travis F.T. (1989). The effects of the Transcendental Meditation technique and progressive muscle relaxation on EEG coherence, stress reactivity, and mental health in black adults. International Journal of Neuroscience, 46: 77–86. Travis F.T., and Orme-Johnson D.W. (1989). Field Model of consciousness: EEG coherence changes as indicators of field effects. International Journal of Neuroscience, 49: 203–211. Travis F.T. (1988). Testing the field paradigm of Maharishi’s Vedic Psychology: EEG Coherence and Power as Indices of States of Consciousness and Field Effects. Dissertation Abstracts International, 49 (8B): 3493. Travis F.T., and Dillbeck M.C. (Spring, 1988) Maharishi’s Vedic Psychology: A unified field based paradigm for psychology. The Iowan Psychologist. Travis F.T. (1988). Testing a field model of social interactions. The Journal of the Iowa Academy of Science, 95(1): A56. Travis F.T. (1985). Conscious and unconscious perception in bilingual students. The Journal of the Iowa Academy of Science, 94(1): A75. Travis F.T. (1979). 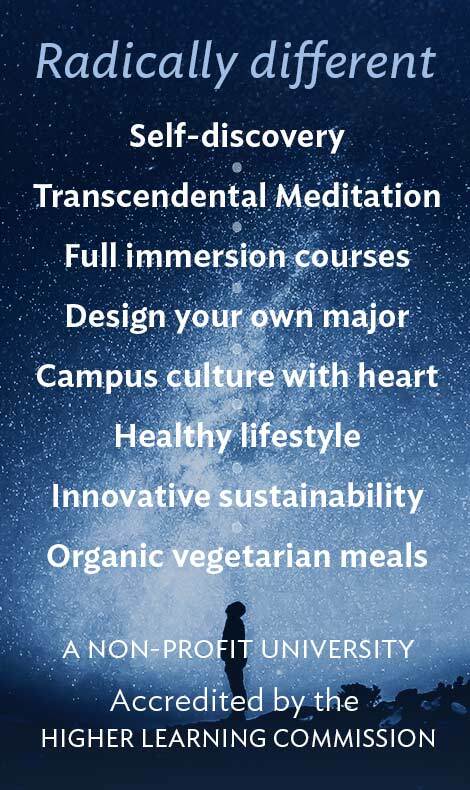 The Transcendental Meditation technique and creativity: A longitudinal study of Cornell University undergraduates. The Journal of Creative Behavior, 13(3): 169–181. Alexander C.N., Kurth S.C., Travis F.T., Warner T., and Alexander V.K. (1988). Cognitive stage development in children practicing the TM program. In R. A. Chalmers, G. Clements, H. Schenkluhn, and M. Weinless (Eds.). Scientific research on the TM and TM-Sidhi program: Collected papers, vol. 3, Vlodrop, the Netherlands: MIU Press. Travis F.T. Phenomenological and Physiological markers of transcendental consciousness: A proposed fourth state of consciousness. Paper presented at the Science and consciousness Conference , April 1996. Travis F.T. Lucid Dreaming and the junction point model. Paper presented at Conference on Lucid Dreaming, July 1991. Travis F.T. The junction point model of states of consciousness. Paper presented at Conference on higher states of consciousness: Theoretical and experimental perspectives, July 1990. Kleinschnitz K.W., Travis F.T., Druhl K.J. (1990) Modulation of brain wave coherence from a distance: Search for an electromagnetic mechanism. Paper presented at 12th annual meeting of the Bioelectromagnetics Society, San Antonio, TX. Travis F.T., Feinberg I., Maloney T., and March, J.D. (1990) Sleeping/waking relationships. Paper presented at the Spring meeting of the Association of Professional Sleep Societies, Minneapolis, MN. Feinberg I., Travis F. T., Maloney T., March J.D. (1989) Peak-trough analysis of cyclic delta patterns more faithfully reflects maturational change than visual scoring or computer tabulation of NREMPs. Paper presented at the Spring meeting of the Association of Professional Sleep Societies, Washington, D.C.